Laburnum Terrace. Number 18 is the fifth house from the right. Hannah Williams – the 1862 rate book shows that ‘Mrs Williams’ was living there then. An indenture dated 14th August 1865 at the time that John Hodge was conveying the property to his son, George, refers to one of the two houses was occupied by Mrs Elizabeth Williams and the other by John Hodges himself. In the 1871 census the house wass occupied by Hannah Williams, described as a retired butcher’s wife aged 69 born in Littleborough in Gloucestershire. She was living there with her unmarried daughter, Elizabeth Sarah Williams aged 39 from Thornbury and a niece, Hannah Williams, an unmarried farmer’s daughter aged 23 from Northwick. The 1841 census shows Hannah was living at the property now called 2 High Street. Her husband was Edward Williams who was described as a pig butcher living with Hannah and their children Edward aged 15, Eliza aged 12 and Henry aged 8 as well as two young servants, Emma Bennett aged 15 and John Smith aged 15. By 1851 they had moved up the High Street to the property now known as 8 High Street. In this census he was described as a butcher and farmer of 60 acres employing two men. He was aged 53 and born in Henbury. Their sons, Edward and Henry were now helping their father. Eliza was described as ‘At Home’. By 1861 Edward and Hannah had moved to 17 Castle Street, which they appear to have been sharing with Miss Emma Kingdon (or Kingdom). The Census shows Edward Williams, a retired butcher aged 64 from Charlton in Gloucestershire, Hannah was from Westerleigh and their daughter Eliza aged 29 who was born in Thornbury. Edward and Hannah were buried in the Thornbury Congregational Church (now known as the United Reformed Church). Their gravestone shows that Edward died on 25th September 1861 aged 65 years and that Hannah died on July 22nd 1873 aged 72 years. We don’t know what happened to Elizabeth Sarah Williams. George Blowfield – it would appear from the Special Drainage Rate book of 1876 that George Blowfield was inhabiting the house by that time. Presumably he took over the tenancy after Hannah Williams died in 1873. At this time we know little about George Blowfield or Blofield. However, the birth of his daughter, Norah Emma was registered in Thornbury in the September quarter of 1877. She was baptised on August 5th 1877. Her parents are George Blowfield, a butler, and his wife Emma. They appear to have been living in Rudgeway at that time. By 1891 the family had moved again to Hampton Wick. George Blofield aged 49 was shown as a gardener from Northamptonshire and his wife Emma was a cloakroom attendant from Carlisle. They had at least two other children, including Norah, who the record says was from Rudgeway. Ernest Joseph Thorogood – appears as the tenant in the 1887 and 1890 rate books. We have found an Ernest Joseph Thorogood who married Eliza Orrin in the December Quarter of 1886 in Chelmsford. The 1911 census shows Ernest living in Essex. Ernest Joseph was 49 years old at that time and his wife Eliza Emily was 50 years old. They had been married at that time for 24 years and had three children. One of these children Orrin Ernest Thorogood was born in Thornbury 21 years earlier. This suggests that they were in this house in Thornbury in 1890 when Orrin was born. The second son Reginald aged 7 was born in Essex long after the family had presumably left the Thornbury area. At the time of the 1911 census Ernest was an engineer at a ball bearings works. We do not know why he came to Thornbury. We believe we have found a tiny photograph of him on the internet. The Kelly’s Directory for Essex for 1899 shows that he was a sub-postmaster and grocer. He died in Essex on 12th January 1941. The house was unoccupied at the time of the 1891 census. Lovegrove – is the name that appears as tenant in the 1894 rate book. Mrs Lovegrove was in the High Street in 1885. The Trade Directory has a Mrs Lovegrove who was in Gloucester Road in 1895 and she appears to have moved to Fern Cottage in Castle Street by 1899. Samuel Witchell Lovegrove, a wine merchant in the High Street married Sophia Laver on 25th April 1835 and they had two children; William Joseph in June 1838 and Jane Alice in December 1842. Sophia wrote a poem about gas coming to Thornbury which appears on this website (click here to read it) and it would be nice if it were this lady who lived in the Gloucester Road. However, we will need to research further. Frances Ravizzotti – is the rather splendid name that appears as the next tenant in the 1899 rate book, although it is crossed through so she must have just moved away. 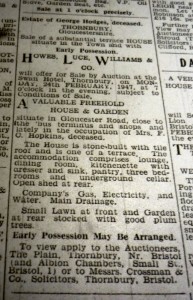 The Trade Directories show that she lived on The Plain in Thornbury in 1897 and in Gloucester Road in 1899. There is more than one Frances Ravizzotti in the records but the 1871 census shows that a Francis Ravizzotti was a drawing master in Clifton aged 59 from Kensington in London and his wife Fanny (also Frances) was aged 44 and from the Isle of Jersey. They had a nine year old daughter Laura born in Clifton. The Bristol Mercury published a report that ‘Mrs Ravizzotti’ allowed a bible class to be held in her house in Warmley in 1885 and that she and her daughter attended. By 1911 Frances Ravizzotti and her 48 year old daughter Lauretta were living in Minchinhampton. Lauretta was born in Clifton. Noble Nation – it appears that Noble Nation and his wife, Annie lived in the house for a short time after their marriage in 1909. Noble was born in Bisley near Stroud on 26th June 1883. He was the son of John Nation and his wife, Elizabeth. John was a plumber, glazier and painter from Dunster in Somerset. In the 1901 census, Noble was now working as a carpenter (presumably for his father who was noted as an employer) and he was still living with his parents in Dean Pitch, Bisley. In 1909 Noble married Annie Spencer in the Stroud area. She was born on 14th January 1879. Noble and Annie must have moved to Thornbury after their marriage and Noble’s name appears as a tenant of 18 Gloucester Road. His name is crossed through which indicated he didn’t stay long. The 1911 census gives their address as Crossways. By this time Noble was aged 28 and had been married for more than one year to Annie who was 32. Noble was a carpenter in the building trade. Their daughter Myrtle was ten months old. Luna Myrtle Adeline Nation (to give her her full name) was born on 25th May 1910. The 1918 electoral register shows the Nations’ address as Easton Hill. They then had a son John Spencer Nation. The Council School record shows that “Jack”, as John Spencer Nation seems to have been called, was born 15th March 1914 and when he started school in 1918 the family were living at Easton Hill Road. Jack and Myrtle also had a brother called Douglas who was born in 1922. Myrtle went to the Council School and was then admitted to the Thornbury Grammar School on 13th September 1921. The 1938 electoral register shows the Nations moved to Crossways and the 1946 register shows their address as Amberley, Crossways. He was aged only 31 years. His war record shows John was mentioned in dispatches and that he is listed on the memorial at Hanover War Cemetery. He had married Marguerita Frances Saunders in Bristol in 1941. The newspaper article that reported John’s death said that he had been working for Boots the chemists in Taunton before the war. Noble Nation died on 25th December 1948 aged 65 years. The death occurred at his daughter’s residence at Wimbledon in London, but he was brought home to be buried at Thornbury Cemetery. His obituary shows he was employed by Tucker Brothers as a carpenter for nearly 40 years. The probate record gives his home address as Amberley in Crossways, Thornbury and appointed his widow Annie as his executor. Annie carried on living in Amberley at Crossways until her death in 1962 aged 83. 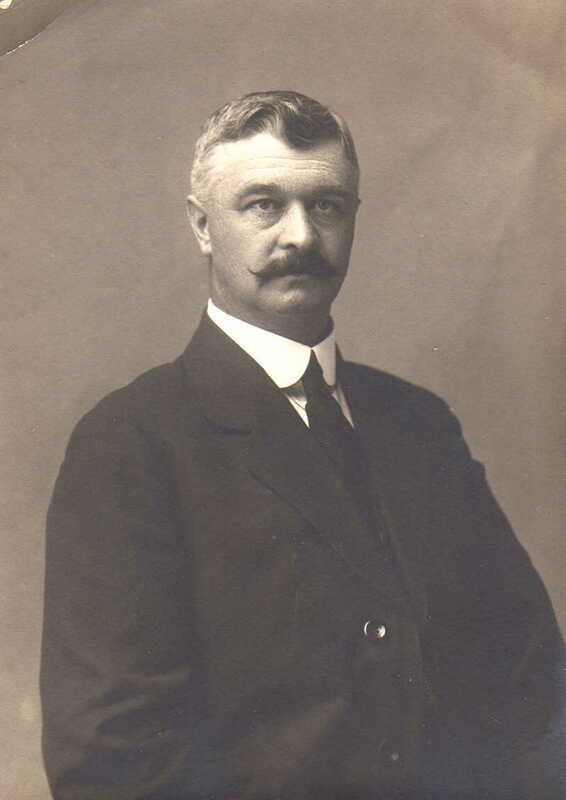 Charles Henry Ball – the rate book of 1910 has the name Noble Nation crossed through and Charles H. Ball substituted. The 1911 census shows that Charles was an outfitter’s assistant aged 32 from Bromley by Bow. He was living with his wife, Mary Eunice aged 42 from Buckhurst Hill in Essex. They had four children, Edward Charles Henry aged 9, Rowland Alphonso aged 7, both born in Leicestershire, Lottie Gwendoline aged 5 born in New Brompton in Kent and Maisie Katharine aged 2 who was born in Thornbury. The 1913 electoral register shows Charles as still living in Gloucester Road. In the 1901 census Charles was a clothier’s assistant aged 21. He was boarding in Tonbridge in Kent with Sarah Griffin and her daughter, Mary Eunice who was a dressmaker aged 32. Later that year Charles married Mary Eunice in the Tunbridge area. We are not sure when the Balls left the house. They were not listed in the 1918 electoral register. were known to be living at the time of the 1939 war-time register. John was born in Hill in 1880. He was baptised in Hill on 26th November 1887, at the same time as his brother, James Eli who was born in 1882. They were sons of James Bruton, a carpenter and his wife, Hannah Caroline. The 1891 Census shows his home in Hill as “the carpenter’s shop.” He was living there with his father James then aged 37 and his mother Hannah aged 40. The other children in the family at that time were Alfred aged 12, James E aged 8 and Wilfred aged 1. In 1911 John married Margaret Elizabeth Daw who was baptised at Stone on 14th February 1882. Margaret was born on 19th January 1882, the daughter of Robert Daw, yeoman and his wife, Sarah, whose home was in Clapton. John and Margaret had three children: James Eli born in 1913, Margaret Joyce on 14th October 1915, and Barbara L on 12th February 1920. John served as a merchant seaman. We know from immigration documents that when John arrived back in Plymouth in 1924 on a voyage from Melbourne in Australia, his home address was at Stone, Gloucestershire. A similar document in 1925 shows the same information when he arrived in Plymouth from Sydney, Australia. On both occasions the records shows John’s occupation as ‘shipmaster’, although he appears on the passenger lists and in one case is clearly not the master of the ship he is travelling on. On 28th August 1940 John was the master of a British Cargo Steamer called S. S. Dalblair as it sailed “in ballast” from Newcastle on Tyne to Philadelphia. In the early hours of the 29th, the Dalblair was hit by a torpedo fired by German submarine U-100 whilst in convey 148 miles northwest of Bloody Foreland, Donegal. The Dalblair sank within ten minutes and four of the crew were lost. Seventeen crew members were picked up by a naval vessel and were taken safely to Londonderry. John and 18 members of his crew and one gunner were picked up by Alida Gorthon, a Swedish merchant vessel in the same convoy. They must also have assumed they had been saved. Tragically the time taken to pick up the survivors meant that the Alida Gorthon had fallen behind the rest of the convoy. Three hours later it was attacked by the same submarine, sank within minutes and all the survivors were lost. John’s name appears on the Tower Hill Memorial in London (which commemorates men and women of the Merchant Navy and Fishing fleets who lost their lives in both World Wars). 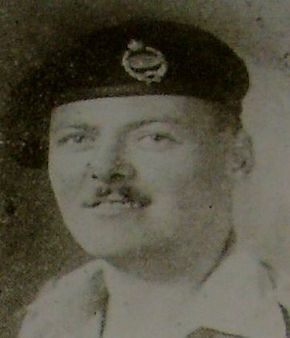 He is also listed on the memorial in St Mary’s Church, Thornbury. The 1939 register shows their two daughters, Margaret and Barbara were both living with their mother at 21 Gloucester Road. They were both working as shorthand typists. Margaret died on 6th December 1942 aged 60. She was buried in Thornbury Cemetery and the burial record shows she died at Lower Marlwood. There is no sign of the family in the 1946 electoral register so they my have moved out of the town. Florence Catherine Hopkins – we know from Henry Smith who lived as a young lad next door at number 16 that Florence lived in number 18. Joan Excell who was living in the house later recalls being told that two ladies had been living in the house before them. Florence appeared in the Electoral Registers between 1931 and 1946. During the period between 1931 and 1935, again according to the registers, a lady called Emily Roberts was living with Florence. The 1939 register compiled in preparation for the war lists one other person living with Florence. Unfortunately the name and details of that person are blocked out on the register thus indicating that the person would have been less than 100 years old when we viewed the record in 2016. 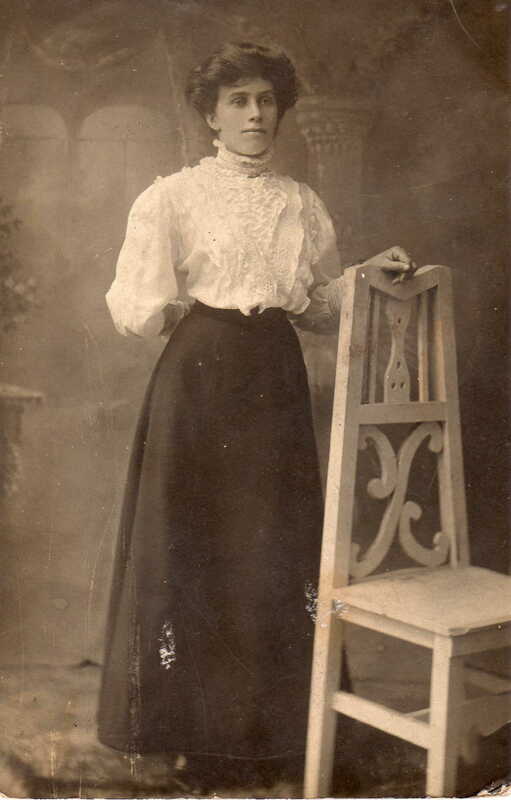 Florence Catherine Pearce was born on 8th July 1860 in Henbury. The 1861 Census shows that she was one of nine children of James and Caroline Pearce living at Kings Weston Farm, Henbury. In 1871 she was a boarder at Red Maids School in Denmark Street, Bristol. In 1881 she was recorded as a visitor to William Henry Rosser, a carpenter who lived in New Passage Road. In 1883 she married James Adam Hopkins in the Barton Regis area of Bristol. James was a farmer and in 1891 he and Florence were living at Church Farm, Elberton. They were still there in 1901. James and Florence don’t seem to have had children. In the 1927 Electoral Register James and Florence were shown as living at the Maypole in Morton. James died in 1929 aged 69 so it seems that this was the time that that Florence moved to Thornbury and settled in 18 Gloucester Road. According to Henry Smith who as a young lad was living at number 16, Florence lived in the house on her own when he knew her until her death in 1947. He remembers being told to be quiet because Florence had died. She was aged 86. 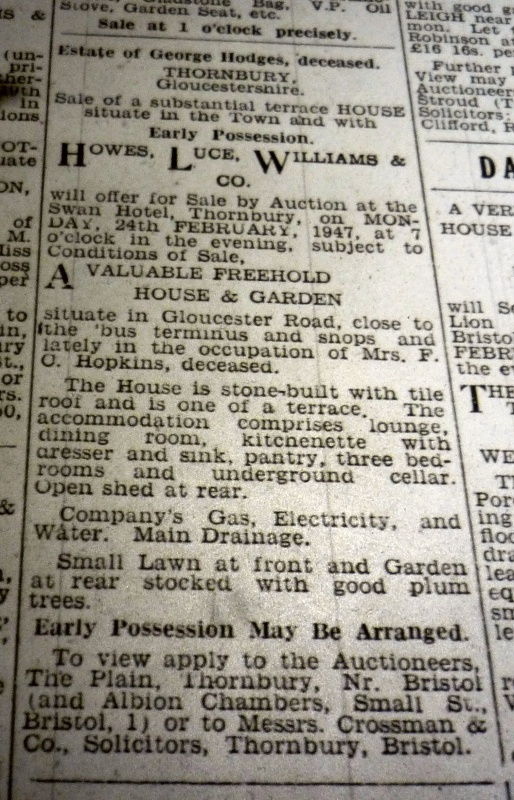 We have seen the sale of the effects of Mrs Hopkins which took place on February 15th 1947 and was advertised in the Gloucestershire Gazette. It is interesting to us, as the present owners, how much furniture was in the small terraced house. Our bedroom no longer seems to need the large wardrobe, dressing chest, wash stand, commode and three chairs. Certainly the dining room would be bursting at the seams to hold the “capital 9 piece mahogany dining suite in stamped leather.” She did not seem to have more than a few chairs in the sitting room but possibly with the pianoforte (by Philip Smith and Sons) and HMV gramophone there was no room for a sofa. After Florence died, the house was sold by the Hodges Estate. The purchasers were George and Joan Excell.